I hope you and your family had a wonderful Easter weekend! 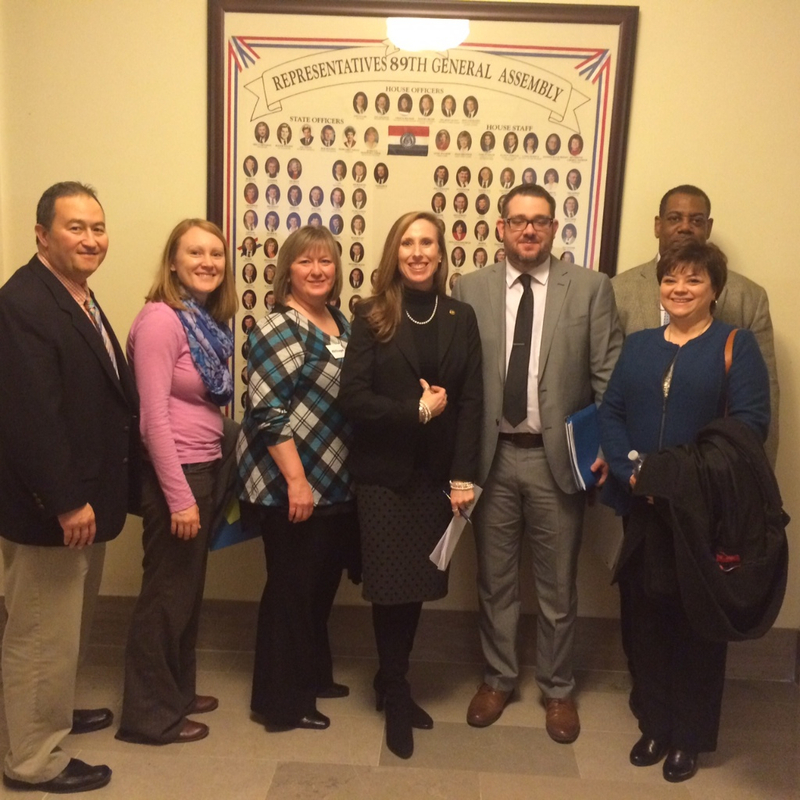 We are just wrapping up our legislative break this week and will head back into session tomorrow. This has been the fastest pace session so far for me. Both of my larger pieces of legislation has moved quickly. Paycheck Protection was Veto'd by the Governor last week. I hope that we will attempt an override soon. I have carried this for several years. Each year I hear more and more from state workers on why this legislation needs to be enacted. We were able to send it to the Governor's desk with veto proof numbers. I'm excited that this may be the year we finally get it done! The Narcotics Control Act has now passed through the House and is in the Senate waiting to be sent to committee. We do have a Senate handler, Senator Dave Schatz. I'm very excited Senator Schatz agreed to handle the bill. He is very much a man of principle and can be a bull dog when necessary. He is just what we need! I will keep everyone posted as we move forward. Thank you for all of your thoughts and prayers over the past few months. As you know both of these bills are highly contentious and I can't tell you how much the kind words, thoughts and prayers from home mean to me. We have also just finished the budget in the House and it is now in the Senate. I've got more details for you on what the House version looks like below. Keep in mind that the Senate will tweak it with their priorities and then both houses will work out the differences. “Paycheck Protection” – HB 1891. The bill is meant to give public employee union members the right to opt-in annually if they choose to participate in their union. The current system requires a public employee to opt-out, and if they fail to do so their dues are automatically deducted. "Narcotics Control Act" - HB 1892. The bill has been sent to the Senate with the goal of enacting a prescription drug monitoring program in Missouri, which is currently the only state in the nation without such a program in place. Known as the Narcotics Control Act, the bill would allow physicians and pharmacists to see their patients’ medication lists in order to catch those who try to obtain multiple prescriptions for addictive pain killers from different medical professionals, and most importantly, allow your medical professionals to catch addiction in it's early stages so that they may offer their patients other services, medications, etc. to curtail addiction. This was taken when I was on the floor debating Paycheck Protection. I got a kick out of my expression and thought you would too! Sometimes debate in the Missouri House can make you feel like you're on another planet! The Fiscal Year 2017 state operating budget has been finished in the House. The 13 appropriations bills that make up the state spending plan are now in the Senate for consideration. During discussion on the House floor, the approximately $27.3 billion spending plan saw House members offer and adopt several amendments to move funding from one program to another. Changes to the budget on the floor must either be revenue neutral or revenue positive. In effect, if a member wants to increase funding in one area of the budget, he or she must first reduce corresponding funds in another area. With this, the size of the budget cannot grow on the House floor. · A $1 million increase to the Foundation Formula that provides state funding for K-12 public schools. The money was moved from the Facilities Management Reserve Fund. · An additional $55,000 for the Foundation Formula that comes from a cut to the Missouri Department of Social Services. House members made a cut of $379,000 to ensure no state dollars are used for nonemergency abortions. The majority of the funds are federal, but the $55,000 in state funds were reallocated to education. · A $214,000 increase to the Parents as Teachers program. The money was cut from the budget for the governor’s office. · An additional $50,000 to the Missouri Department of Elementary and Secondary Education that is designed to increase interest in Science, Technology, Engineering, and Mathematics (STEM) careers among middle school and early high school students. The money was moved from the Missouri Department of Natural Resources. · A funding increase of $1 million for agricultural research at Lincoln University in Jefferson City. The funds, which were taken from the University of Missouri – Columbia campus, will allow Lincoln to receive matching federal land grant funding. · $500,000 for the creation of an Urban Education Institute at Harris-Stowe State University. The money was moved from the funding increase for the state’s institutions of higher education. · $750,000 for the Brain Injury Waiver to draw down federal funds to help provide care to Missourians with brain injuries who are currently on a waiting list. The money was moved from funds allocated for the Missouri Technology Corporation. · $300,000 in funding for the Advanced Manufacturing Training Center to offer shop and lab training and classroom instructional opportunities to high school graduates and dislocated workers. The money was moved from funding for the Department of Natural Resources. · $4 million increase for the Access Missouri need-based scholarship program. Our county's Recorder of Deeds came up for a conference and Mrs. Tara Mason and Mr. George Bays made it a point to stop by...they even brought a friend from Stoddard County! I very much appreciate the service they do for us. Thank you! The members of the Missouri House took action this week to create stricter requirements for a minor to obtain an abortion in Missouri. Under current law, a minor must obtain the written consent of a parent or guardian in order to have an abortion. The legislation approved by the House would also require the consenting parent or guardian to first notify in writing any other custodial parent or guardian. The sponsor of the bill, Rep. Rocky Miler, said his intent is to encourage families to have discussions before an abortion. This is a decision that cannot be reversed and both parents need to be a part of the discussion if possible. The legislation approved by the House does wave the consent requirement in an emergency situation. The bill also clarifies that a parent or guardian is not required to receive notice if he or she has been found guilty of certain offenses, is listed on the state's Child Abuse or Neglect Central Registry, Sexual Offender Registry, has an order of protection against him or her, had their rights terminated, cannot be located, or is incapacitated. The bill is now in the Senate. 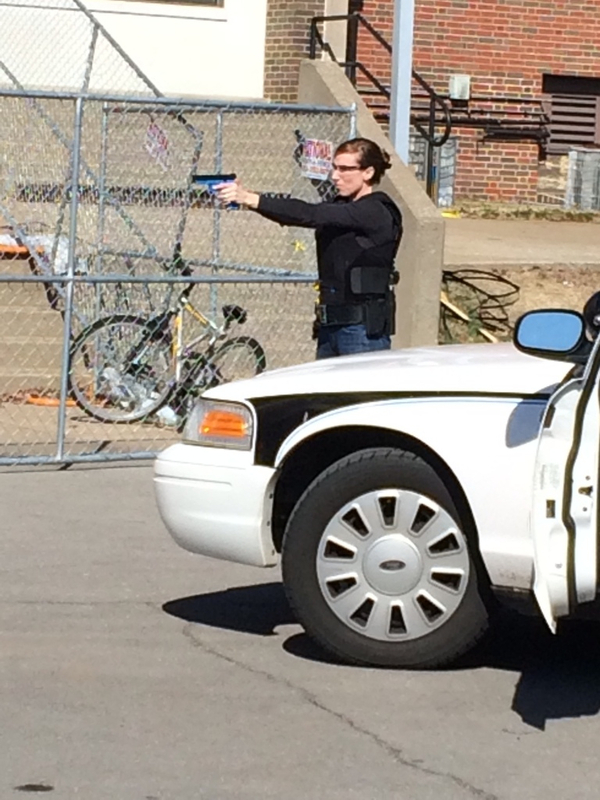 Each year Cape Girardeau PD puts on a day of mock police calls for people in the community to get a feel for the work and service that they do for us. As you can imagine, each year many bills are filed that directly affect the jobs of our officers and first responders. 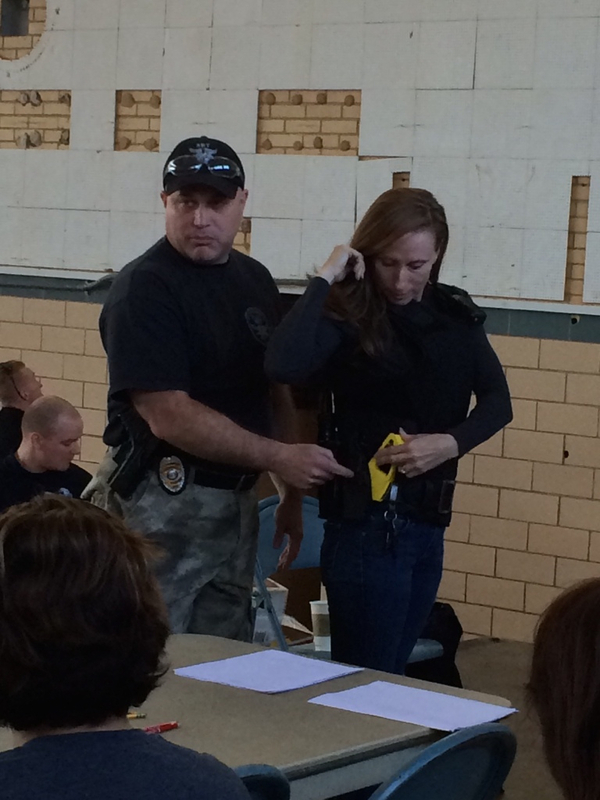 I have always had great respect for the dangerous work that they do, so I was very excited when asked to participate! Words can not express my gratitude for all that they go through. I very much appreciate the opportunity and highly recommend it to all! For the first time in state history, the Missouri House has successfully moved to override budget withholdings made by the governor. Voters approved Amendment 10 to the state constitution in 2014, which gives the legislature the authority to ensure programs receive funds that were appropriated by the General Assembly but then restricted by the governor. The legislature’s authority works in a similar fashion to its ability to override a gubernatorial veto and requires a two-thirds vote in both the House and Senate. The House received bipartisan support with more than 120 votes for each of the motions approved this week. The governor, who has the authority to restrict spending if revenues are insufficient to fund the budget, continues to withhold more than $46 million in funds from the state operating budget for the current fiscal year. However, House leaders claim the state’s revenue situation is healthy and that the governor has no reason to withhold funds to balance the budget. The vice chair of the House Budget Committee told his colleagues on the House floor that, due to a reduction in the supplemental budget of more than a million dollars, the funds are available to pay for the appropriation withhold overrides. As a result, the House exercised its constitutional authority to force the governor to release $575,000 in withheld funds for the Missouri Scholars Academy and the Missouri Fine Arts Academy. The Missouri Scholars Academy is an academic program for Missouri’s most gifted high school students, and the Missouri Fine Arts Academy is a program for highly motivated student artists in visual arts, theatre, dance, creative writing, and music. The state has traditionally provided funding for the academies, but the governor has both vetoed and withheld funds from the programs in recent years. The funds the House voted to release would allow students to attend the programs without having to pay an additional charge. The House also voted to release $350,000 to the Brain Injury Waiver Fund that is used to help provide care to Missourians with brain injuries, who are currently on a waiting list. The waiver model includes early intervention and treatment options to provide critical services while reducing long-term costs. The program is meant to provide access to rehabilitation that allows people to successfully regain daily life skills and vocational potential. Both motions now move to the Senate for consideration. If they receive two-thirds votes there, the governor will then be forced to release the funds. 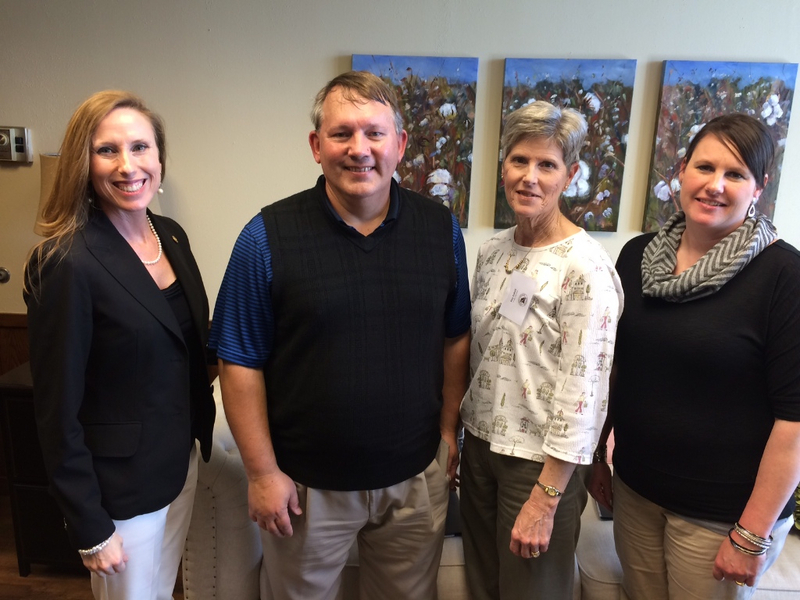 Our fine folks from the Bootheel Counseling Services came to visit a few weeks ago to discuss budgetary needs. The entire Southeast Missouri area is blessed by the workers of Bootheel Counseling. They tirelessly lend help to all in need. They are a shining star for the Bootheel! When we return tomorrow we will be prepared for long hours and lengthy discussions on the many bills that have yet to cross the legislative finish line. To date the House has seen more than 1,500 bills filed with nearly 450 House Bills already receiving committee approval. At this time the House has approved and sent to the Senate more than 150 bills, and so far only one of the bills has received final approval. The number of bills sent to the Senate is a significant increase from last session when the House had approved just more than 90 bills entering the break. The high volume of bills moving through the process means a heavy workload when we return. 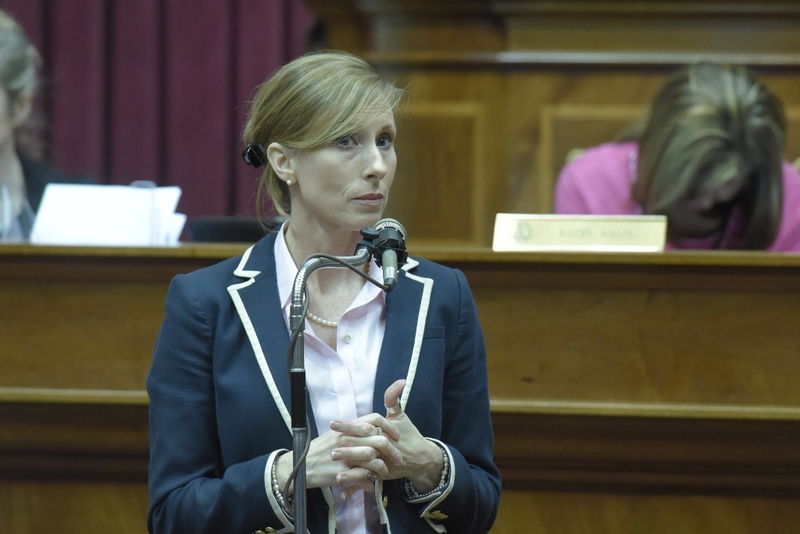 In addition to the work that will need to be done to reach a final agreement with the Senate on the state budget, we will continue to work with colleagues in the senate to advance several ethics reform bills, public safety bills, pro-life legislation, and many other issues that matter to Missourians from all parts of the state. Many bills are fixes to current law; and many, many of the bills filed do not need to see the light of day.